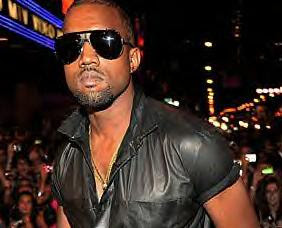 "You don't hear of Kanye West winning much lately, but his fortunes may have just picked up – he's been announced the winner of a blog poll that names him the king of 2009. The King of Fail, that is." "It was a year of epic fails on so many levels," said Ben Huh, CEO of the Cheezburger Network of humor sites that includes FAIL Blog, which tallied the results. And West – who won haters' hearts with his boorish upstaging of Taylor Swift at the Video Music Awards in September – was the failingest of them all. Sixteen percent of FAIL Blog users deemed West the Top FAIL Person of the Year. But he was in good company: Reality show dad-turned-aging frat boy Jon Gosselin earned 12 percent of the votes, as did firebreathing rightwing talkshow host Glenn Beck. Perennial targets like Heidi Montag, Spencer Pratt and Lindsay Lohan barely made the top 10.